A school bus on North Broad Street. It’s any given day of the week in America and you know what that means: It’s time to get outraged about something! I’ve failed in my duties in the past several days, though. Allow me to explain. I don’t think that event should exist in the first place and I found the comedienne’s tone to be ruthlessly cruel. Criticism of that would be hypocritical because so is mine on countless occasions. I’m not a fashion writer, am not offended by garments beyond Real Madrid kits and found it to be a manufactured controversy designed to fill the down time between other controversies. Instead, I’d like to draw your attention to an email I received last week. I apologize in advance for the lag as I was consumed with coverage of the Battle for Yorktown’s soul. It arrived Wednesday, and it was from a gentleman who’d garnered the title Heroic Driver Man (HDM) in a column I wrote two years ago, nearly to the day. HDM’s real name is Tom McCarey, and he is a member of the National Motorists Association. He is also an avid emailer, churning out pro-driver screed after pro-driver screed for local inboxes. It would do so by allowing the “placement of cameras on school buses” to capture images of vehicles ignoring the red flashing signal and driving past the bus. Drivers who do, and get caught, could face a $250 fine, 60-day suspension of driving privileges and five points on their driving record. When it moved to the state Senate Appropriations committee last week, Browne's spokesman Matt Moyer told the Tribune-Review, "It was brought to our attention by parents who'd videotaped cars running past school buses with lights on and arms out." To me, this legislation, which will be discussed later this month at the earliest, screams of elected officials doing the right thing at a time when most Americans think they're doing anything but. Also, it’s not entirely new. I know what you’re thinking: It’s always a good thing to protect children. HDM sees things a little differently, though. Instead of protecting children, this noble man sees a cash grab. Also, he maintained, “no school kids were killed by passing motorists in the most recent year studied.” As such, apparently, we needn’t worry about anything! I know, I know. Bear with him. He's not very good at this stuff. I don’t even know where to start with this misguided, ignorant, selfish nonsense. HDM didn't respond to an email seeking edification on his stance on Tuesday morning. So, I guess a good place would be his omission of the reality that in the nine years leading up to the one he cherrypicked for his rant, “301 school-age children were killed in school-transportation-related crashes.” Fifty-four of them were occupants of school transportation vehicles and an additional 218 were struck by vehicles as pedestrians. • Monte Stevens, 6, fatally struck by a car when he got off a school bus in Morganza, Louisiana. • Keshawn Odum, 5, fatally struck by a car after getting off a school bus in Pembroke, Georgia. That is just the first page of Google results, folks. That’s all it took to expose HDM’s willful misrepresentations that could damn near kill children in Pennsylvania. Spend another couple seconds on the computer and you'll find stories about children getting killed or injured while trying to board, or get off, buses in Bensalem, Greenfield Township (Erie County) and West Mifflin (Allegheny County). Also, you'll find news of "Operation Safe Stop," a sweep that nabbed some 120 drivers in October 2017. If you’re looking for something to be outraged about, someone's callous approach to life, and willful disregard for the safety of your children, is it. If anything, the punishment should be steeper for anyone who runs the risk of such tragedy. Shame on anybody who pushes back against legislation doubling as a deterrent that damn well may save some family the lifelong pain of burying a child. Illegal school bus passing is rare, and if it occurs, it is likely not intentional. Very few serious injuries or deaths occur. 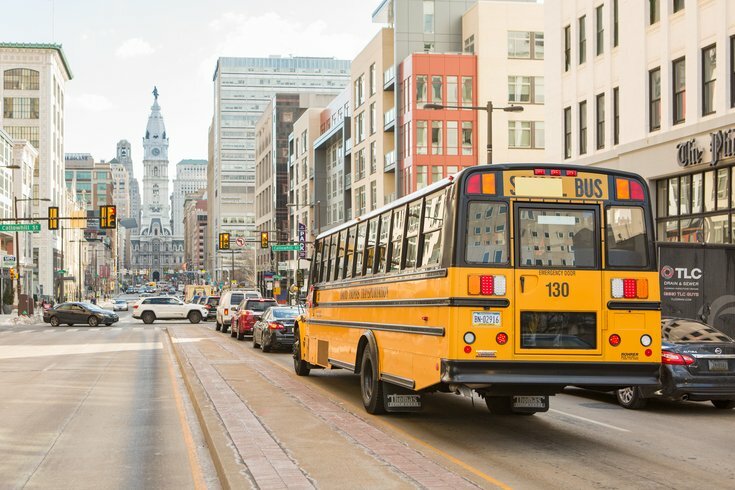 PA has an odd law for stopping when a bus is on an intersecting road, which should be immediately repealed. It may not always be possible to see a bus, or be able to safely stop, depending upon the exact road configurations and traffic. May not be sure if you need to stop, as there are many oddball roads and intersections, and not all roads are the 2-lane rural type. Think of islands, delineators, and other strange situations. All buses do not look the same way, as Erie has blue transit buses, minus the usual look and markings. No minimum yellow flash time, nor will you get extra time on a higher speed road (so yellow could be too short.) These will be split-second tickets if you are anywhere near the bus. The bill automatically assumes the driver was the “violator.” This cannot occur, if the penalty is a criminal violation, which is what this bill seems to call for. Unsure if the bill will allow tickets for stopping too closely to the bus, or if bus is on an intersecting road. Who will manually reject the tickets for divided roads, when you do NOT need to stop? The cams will still go off. Please note that the instant the reds come on, you cannot be anywhere near the bus. This is also an odd situation for many wide roads and intersections. You may be nowhere near the bus. Same problem for a bus on an intersecting road. This will encourage people slamming on the brakes, as soon as they see a flashing yellow, which is unsafe. Schools should be more concerned with the buses running kids over. Why are bus stops not set up so the kids are on the same side of the road as the bus, moved off of major roads, and moved away from intersections?